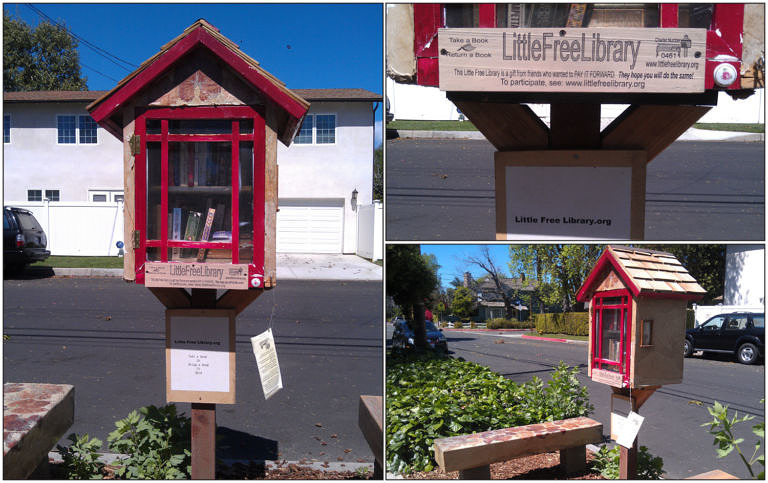 Little Free Libraries Changing the Way We Share Books! It was very much picture-perfect: a welcoming Little Free Library, sandwiched between two stone benches, in case you wanted to relax while you read. Scattered across thirty-four states and seventeen countries are over 200 handmade wooden “boxes.” Small in stature but mighty in practicality, each one can be easily mistaken for a birdhouse at first glance. But these quaint structures, perched in front yards and in residential neighborhoods, contain books, novels, and magazines—all free to share. Little Free Library’s motto is “Give a book, return a book.” The project, started by two Wisconsinites, encourages each community to browse their local Little Free Library and borrow or donate books for others to explore. They also emphasize to leave notes in the books for future readers. Perks of this miniature-literature haven are that it requires no card and no fines. Hooray for no more overdue books! 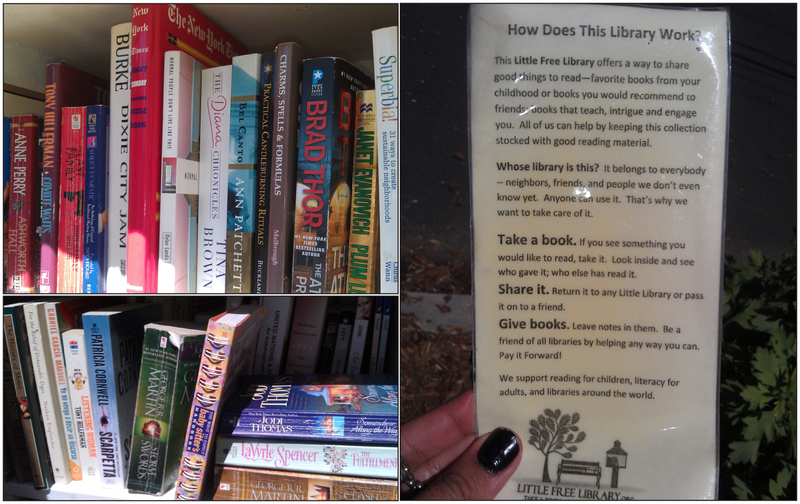 There are only three Little Free Libraries in SoCal, and lucky enough, one was within walking distance from my apartment. So, of course I had to check it out. Attached to the library was a pamphlet detailing how the whole Little Free Library system works. This was so helpful, considering it’s rare to stumble upon a random array of books so conveniently arranged. This library had an eclectic collection—from A Storm of Swords by George R. R. Martin to an issue of Garden Design magazine. I didn’t take any books this time around, but I’ll be sure to drop a few titles off next time I’m on a stroll. I may throw in a Personal Library Kit too! 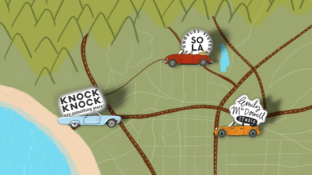 Either way, you definitely check to see if there’s a Little Free Library nearby. To find the closest Little Free Library in your area, click here. Or if you want to learn more about how to build or donate toward your own Little Free Library for your neighborhood, click here. And finally, a big thank you to our managing editor, Erin, for the scoop!